Printing based on individual graphic designs, according to the needs specified by the client. Our DTP studio will match your projects to the dimensions (or existing dies) and will ensure high quality graphics and color matching. Decorative labels are used as a hallmark of brand, they allow the product to be distinguished from the competition. 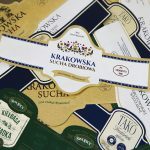 We offer the possibility of printing refinement using various techniques – especially used for labeling premium products, such as alcohol labels. 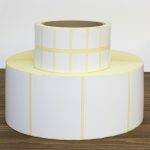 The most common confection variant is winding of self-adhesive labels on rolls of any kind, which facilitates further, machine application. Available thimbles with standard widths of 20, 25, 40, 45, 50, 76mm or other, according to the needs specified in the order. 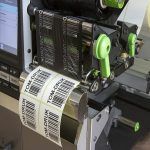 At the customer’s request, the labels can be cut up and delivered in stacks – a particularly popular way of packaging in the case of wrappers and banderols . 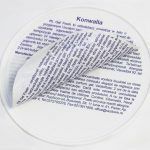 In the self-adhesive version, we can print any kind of labels: on foil, paper and special raw materials (eg Tyvek, Polyart), prepared for further printing thermal and thermal transfer labels, security, multi-layer (“books”), rating plates and many more. 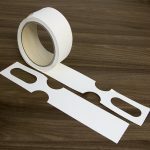 The adhesive can be placed on the whole or only on a part of the label. 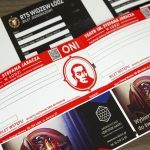 We also have the option of printing labels without glue – for example, cardboard labels, tickets, as well as tags and some types of wrappers. Our sales department, in cooperation with technologists, will explain issues related to the choice of the right type of label – we encourage you to contact us and submit inquiries. 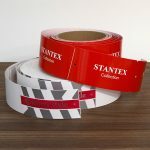 Standard delivery time for self-adhesive labels is about 7 days from the pattern approval. 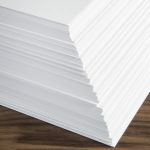 However, this is dependent on several factors, such as input, raw material availability, graphic preparation of the design (adjustment and ordering of photopolymers, color tests) or execution of a die for a non-standard dimension. 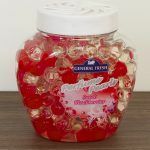 An important issue is also the way of confection – if the labels have to be cut and delivered in piles, the implementation will be longer than if they were wrapped on rolls.